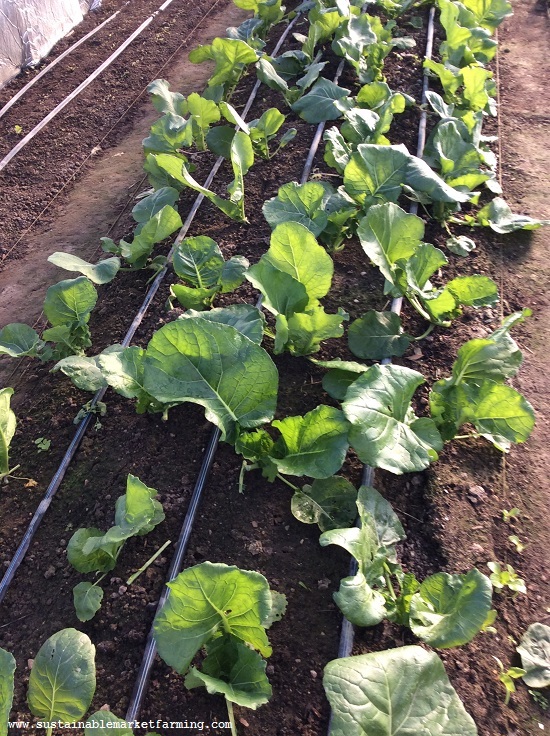 Koji greens in our hoophouse in late November. Freshly harvested senposi. In just three days, the plants had grown enough to be ready for another harvest. 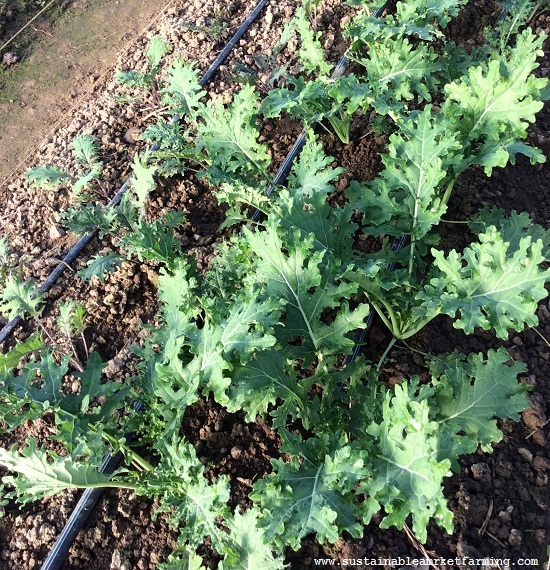 White Russian kale ready for harvest in our hoophouse at the end of November. 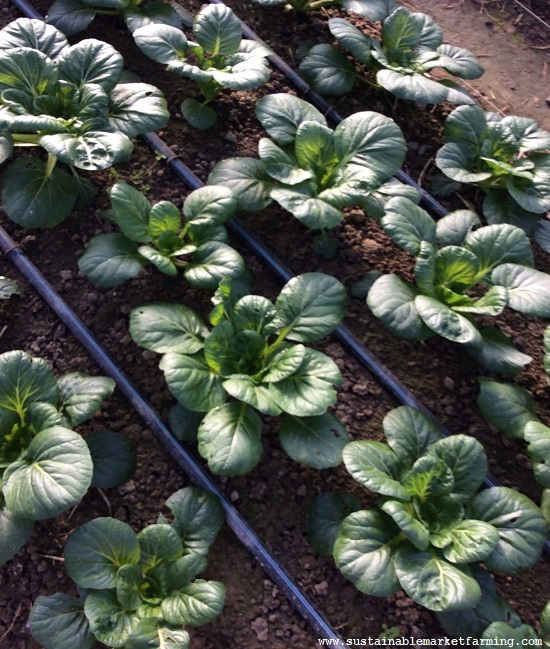 .For salad mixes, we are harvesting outer leaves from the leaf lettuces, along with spinach, Bulls Blood beet leaves, and often the brassica component has been tatsoi. Outredgeous lettuce in late November. The persistent galinsoga shows that our hoophouse has not yet reached freezing temperatures. 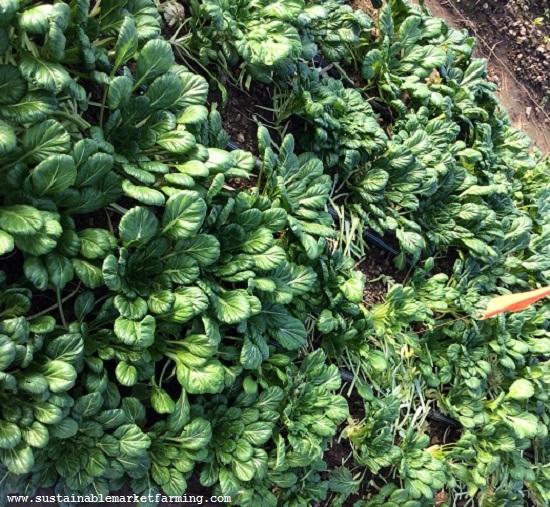 Tatsoi, which we sowed September 6, has been very prolific. We have been harvesting the outer leaves and chopping them for salad mix, after removing the stems. These causes the patch to look messy, but feeds us well. Hoophouse tatsoi in late November, with harvested plants to the lower right and not-recently-harvested plants to the left. 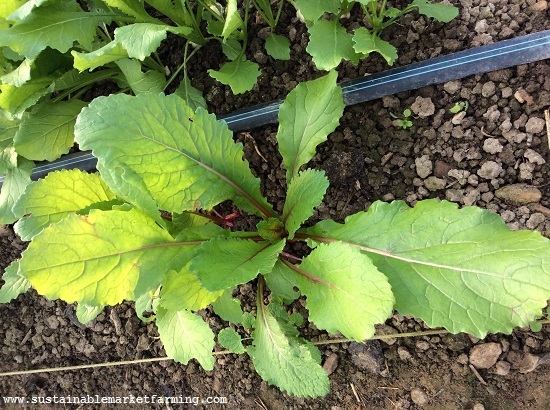 Once we’ve chosen our basic three ingredients (lettuce, spinach/chard/beet leaves, and a brassica), we customize the mix with other ingredients, such as Tokyo bekana, baby chard or frilly mustards such as Scarlet Frills, Golden Frills and Ruby Streaks. 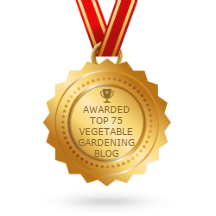 We are harvesting our first sowing, cutting outer leaves, and thinning our second sowing. Our second hoophouse sowing of frilly mustards. Here you see Golden Frills and Ruby Streaks. 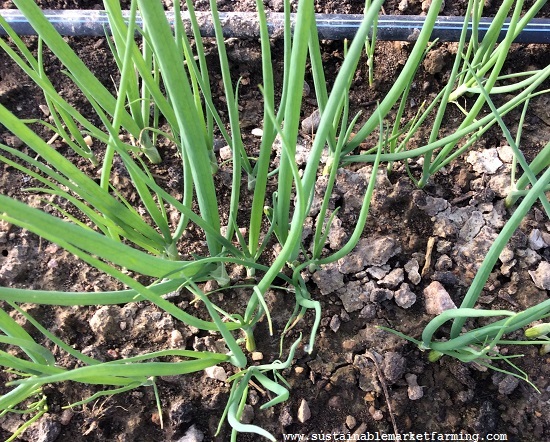 Our first hoophouse sowing of scallions is ready for harvest. 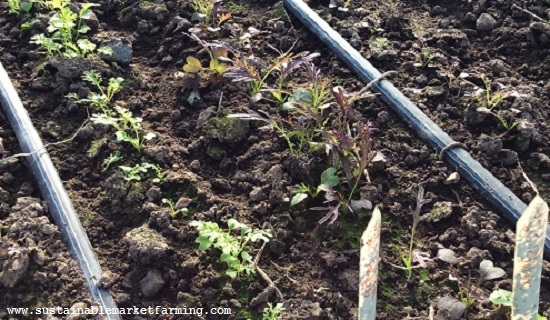 Looking to the future, the first sowing of baby lettuce mix is almost big enough to harvest. 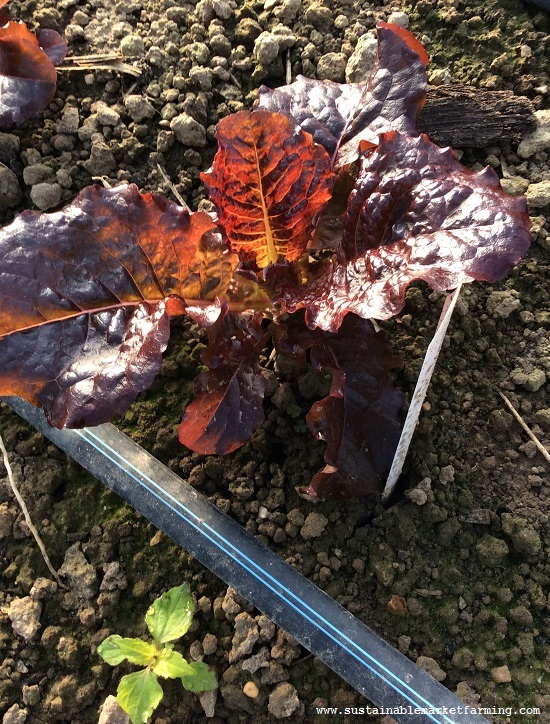 We grow both leaf lettuce to keep alive all winter, and several sowings of baby lettuce mix to cut whenever it is big enough. 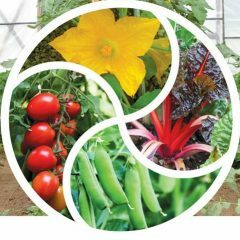 Growing both gives us more resilience when the weather is so unpredictable. Red Round turnips are beautiful, and the tops make good cooking greens. We’re also looking forward to turnips and chard. 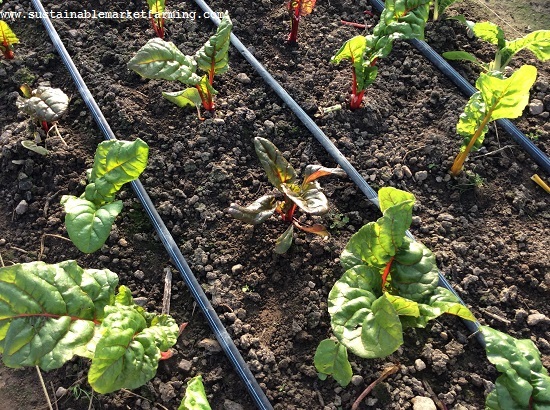 Our second hoophouse planting of Bright Lights chard. 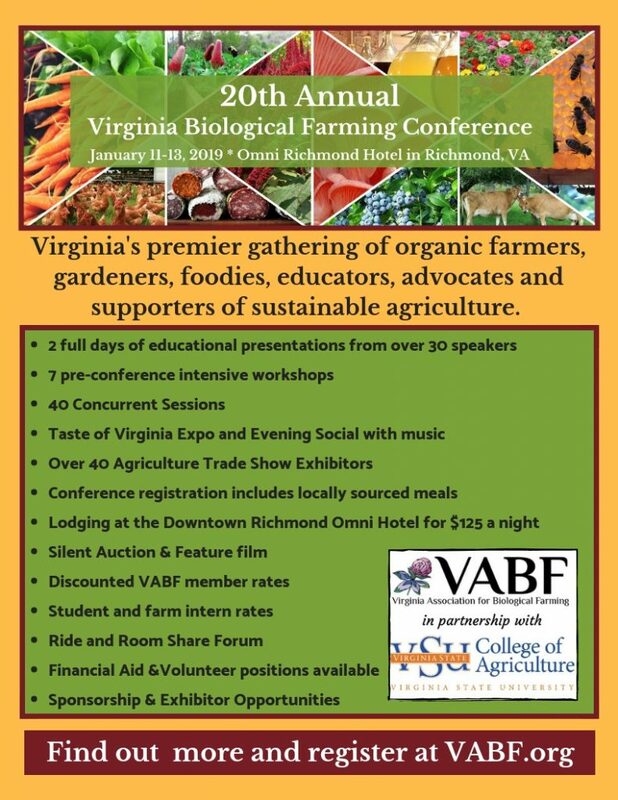 The Virginia Biological Farming Conference will be held January 11-13, 2019 in Richmond, VA. See you there! 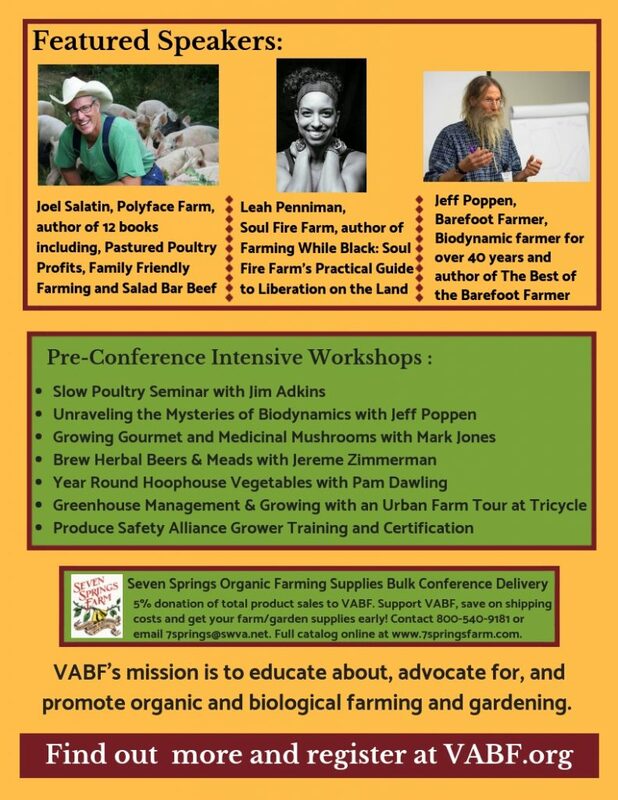 See my Events page for more about my presentations.